Google Apps is rolling out this week to all our year 9 students (Yrs 12-13 started with it in October) as part of a staged roll out of the system. My 1st lesson with my core IT group gave me plenty cause to pause and reflect. 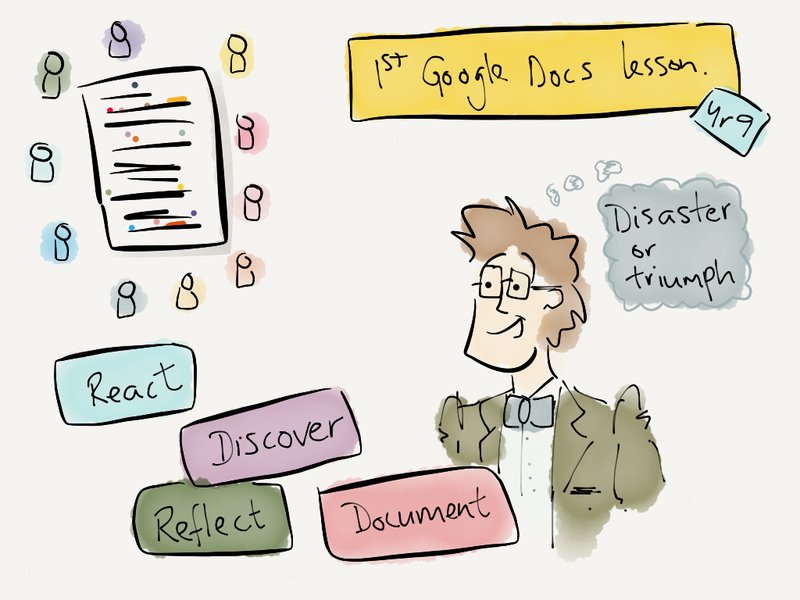 Brief introduction to Google Docs/Apps. 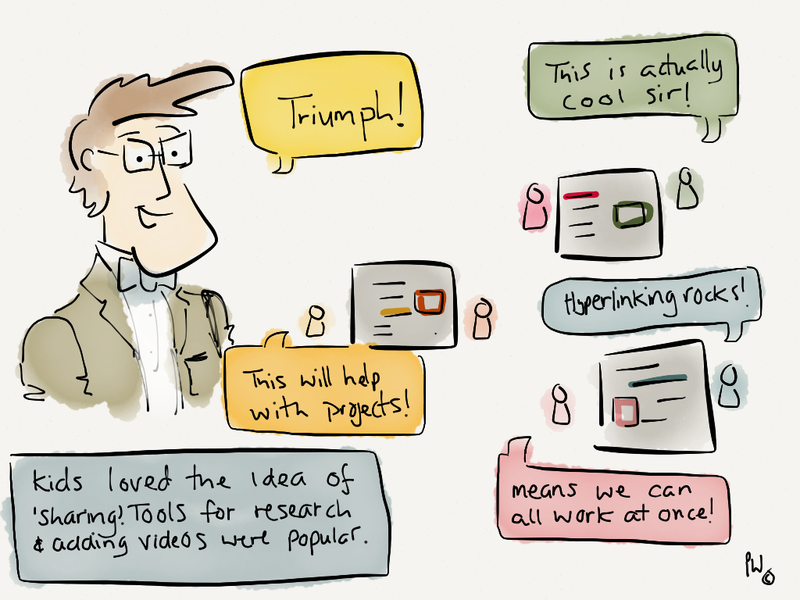 Create own presentation and share with a partner – collaborate on a task, stopping often to be shown new tool to incorporate into work. Then reflect on Google Docs/Apps impact on wider subjects and share thoughts on another shared class doc. The opening task was noisy, as the students screens erupted with colour marks (seeing each other typing in real-time) students deleted work done by others, typed in silly things, coloured text, increased fonts to silly sizes….at that point I thought ‘Disaster‘. – I thought back to staff workshops, staff may not have been so noisy but they still did some silly things in response to the initial ‘we can all see what each other types’ situation. So I allowed the students a little time to ‘get it out of their system’. Breathing calmly I moved the lesson on, as we all moved through activity after activity, and students began sharing and collaborating on their work the noise level began to fall naturally. Thank goodness. I noticed students began having their own unprompted discussions about the system “Aw this would have been the business for our ICT project in Middle school!” – said one, who when I sat with him to chat further told me working in a group would have been greatly improved had they had access to Google Docs then. At the feedback and reflection session students honestly surprised me with the maturity and insightfulness of their responses. Isn’t it funny how its often the most troublesome students that can often see the bigger picture? (Sadly we often forget that). As I reflected I reminded myself that learning isn’t always quiet (not sure what Mr Gove would say about that). Students (even the ones who don’t often engage) can surprise you with meaningful insight, which is reason enough to never give up on them! – And that Google Apps really does have an almost unlimited potential to engage, inspire, support and enable learning in young people…something every teacher and student in every subject should be able to make use of.